Hillary Clinton called for the U.S. to promote Internet freedoms earlier this week and introduced a $25 million fund for technology companies that might help with the task. The New America Foundation has already applied for a grant under the program, which includes a $3.5 million proposal, of which $500,000 will be funded by the New America Foundation itself. The mission? To build the technology stack for a distributed, open-source telecommunications system. The Serval Project. The goal here is to create software used to connect phones with or without Internet access. The project uses an existing phone number, and handsets with the application installed can communicate with each other by calling the phone number of other phones in the Serval network. Serval does need some kind of wireless network on which to run, be it a wireless LAN that’s not connected back to the web or a GSM cellular network. Our first hope is first create an intranet as requested from our growing contacts on the ground to facilitate the creation of local based organizing and outreach intranet applications. Concurrently, we are working to provide strategic uplinks via satellite and dial-up to get folks reconnected to the global internet. Finally, we hope to integrate the good work folks at Tor are doing into a bundle and the firmware as well. More ideas are of course welcome! Tor. If Commotion is the road for packets to drive around on, and Serval is like the car enabling the drivers to get on the road, then Tor tints the car’s windows, according to Meredith. The software uses multiple encrypted nodes to route your traffic requests around the web to disguise where it is coming from, thus shielding the identity of user or person making a web search. Bloggers, activists, journalists and the military use Tor to keep their location, IP address and web site visits secret. For dissidents, running Tor on top of Commotion can disguise the location of network nodes and users. Open BTS or Asterisk. Using OpenBTS linked to an open-source voice server running software such as Asterisk, a distributed network now has the ability to make voice calls without going back to the centralized core network of a wireless or wireline carrier. If one hooks a server running OpenBTS to an Asterisk server on a Commotion network, then voice calls via VoIP are now available via the existing GSM radios on the phones, even without using something like Serval. Open GSM. This one is a bit like Pump up the Volume, meaning it may be all rebel cool, but it may not be legal. Essentially, it’s a project to build cheap base stations in various cellular frequency bands to deliver a cell signal to GSM phones. Since these towers are using airwaves purchased by private or state-owned telecommunications companies and could cause interference it’s pretty much going to be reserved for folks who aren’t okay with government regulations, or who can get approval for their networks. If your government doesn’t want you access the web, though, this base station connected back to a web gateway is one way to fight the power and provide web access. Is this the final technology stack for providing safer and more reliable Internet access for activists and dissidents? 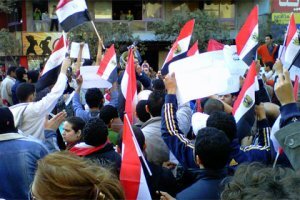 I can’t say but as protests sweep across the Middle East and governments such as Egypt, China or Burma are willing to crack down on Internet access, the need for innovation around decentralized networks grows. WRT your point about GSM, the radio spectrum in the US is owned by the citizens collectively, and licensed on an exclusive or shared basis, a rather important distinction. In addition, during an emergency, when life is at risk, one can use whatever frequencies one can access in order to effect communications. All these projects contribute to our ability to form communities but as long as we build upon a basis of telecommunications is a billable service we’ll continue to find that the ability to bill for access is the ability to deny access. We need a solid foundation in funding infrastructure as a whole rather than only selling it via service providers. http://rmf.vc/Demystify.go. As important as it is for global support and opinion to be swayed via social media, it is equally important to have continued co-ordination and collaboration inside even when ISPs shut themselves out of the internet. http://www.civiguard.com and http://secretsocial.com work towards realizing that goal. Check them out Hillary! Thanks y’all, please keep the projects coming. Seems like there’s a follow up begging to be written. Would be interesting to see something like the open source ClearOS in the mix here too. A complete IT solution with its own DNS for every environment. I wonder how networks of secure nodes like this would fit in here.